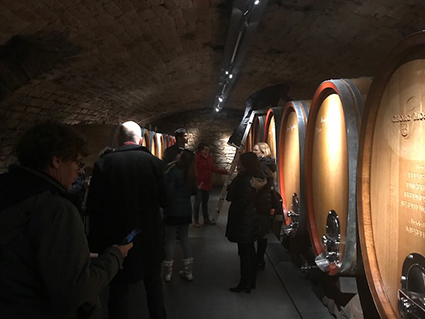 Last week I was treated to a very rare tasting indeed – one where everyone on the visit bought some wine afterwards! As this was a bunch of MW students, at the beginning of a week, this is quite an endorsement. 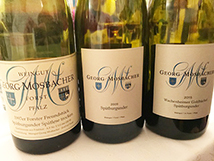 Established in Forst, in the heart of the Pfalz, in Germany in 1921, Georg Mosbacher is now run by Sabine Düringer-Mosbacher, the next generation, and her husband Jürgen Düringer. 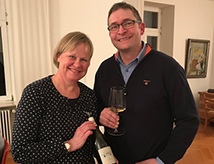 Sabine studied at Geisenheim, the leading oenological college in Germany, and perhaps the world, and took over the reins of the property in 1992. They farm 21 hectares across Forst and Deidesheim, but perhaps most significantly with all three of the major soil types of the Pfalz, including the rarest, Basalt, a volcanic rock that originates from an extinct volcano in the nearby mountain range. 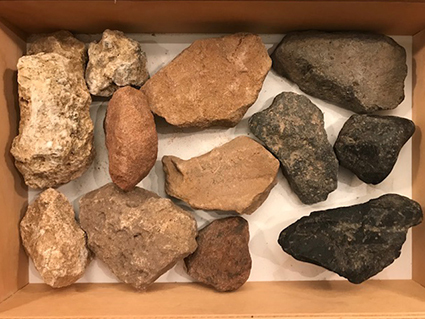 These are accompanied by coloured Sandstone (Bundsandstein), and Chalk (Kalkstein). Georg Mosbacher was one of first wineries to establish GG (Grosses Gewachs, or Grand Cru) in 1996. 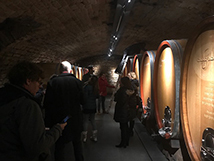 This initiative has helped establish the greatest single vineyards in Germany, for dry wines from the great grape varieties (mainly Riesling of course). The presence of the ‘GG’ embossment on the bottle is an easy to spot assurance of the highest quality in a country whose myriad labelling systems can seem arcane and impenetrable. Perhaps this is why Jurgen and Sabine do not put their organic certification on the label. 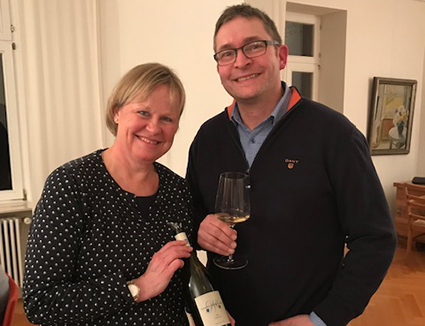 Their membership of the VDP (Verband Deutscher Prädikatsweingüter), the association of almost all of the greatest of Germany’s wine estates, is signalled only with the eagle logo on the capsule. Sometimes less is more! 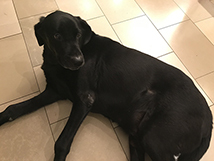 Like all the best establishments of any description, but especially wineries, the most welcoming member of the team is Yolo (short for Nebbiolo), a lovely black Labrador. Very small vineyard near village. Some Basalt. Very youthful and right now I would prefer to drink the Gerümpel, but a seriously classy wine. Massive frost. Absurdly low yielding, but very high quality vintage. 200% new oak.